While I was in Kyoto late last year with my mum (see more on that trip here) I couldn’t help but notice sweet little florists on every corner. 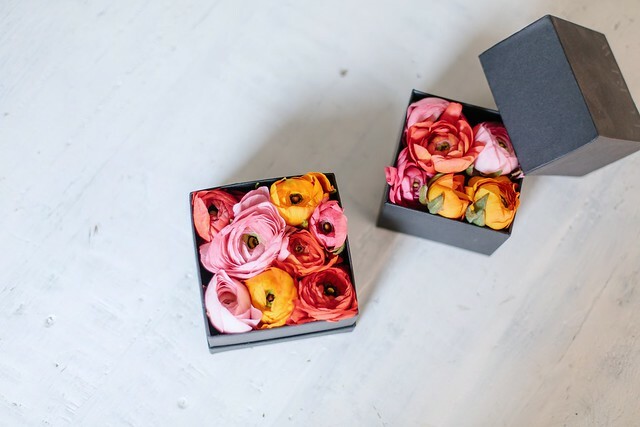 Not like the ones you see all over Paris with big buckets overflowing with flowers, but stores with more quaint and delicate wares – little succulents, bonsai plants and in a few places, boxes of flowers. I adored the idea and couldn’t wait to try it! The Japanese are known for a serious attention to detail, and so when I was creating this project I wasn’t sure if I would be able to do justice the perfection of the ones I saw there. 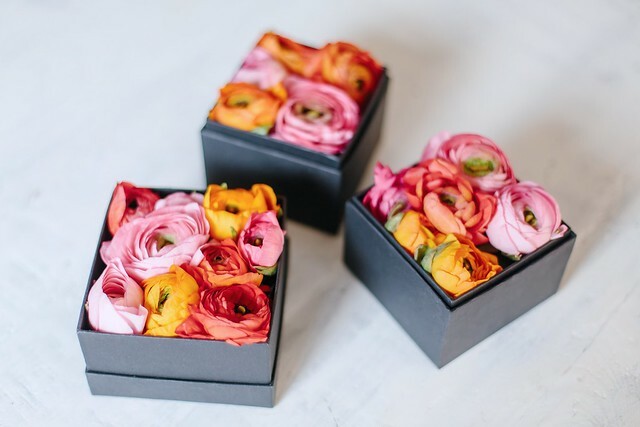 However even though I kind of guessed how it was done, I’m happy to report that these are really very easy to make, and don’t take teeny tiny fingers and 25 years of florist training to look good. Winning! Oh and given it’s so close to Valentine’s you could do these as a last minute tribute to a loved one, topped off with some of last year’s lovely printable cards! Or use them as a table decoration at your next party (don’t be surprised when they go home with people!). 1. 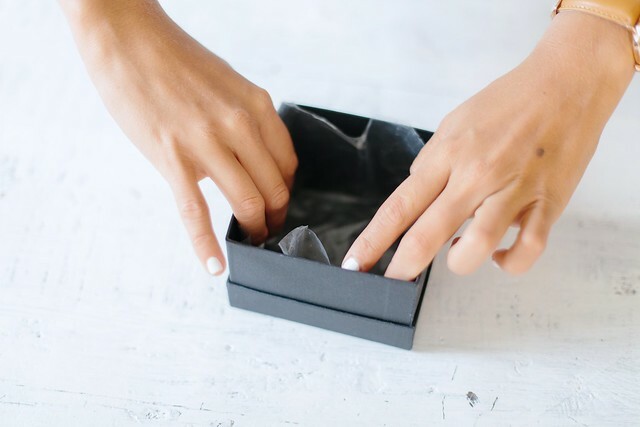 Take your plastic and cut the fit inside the box. 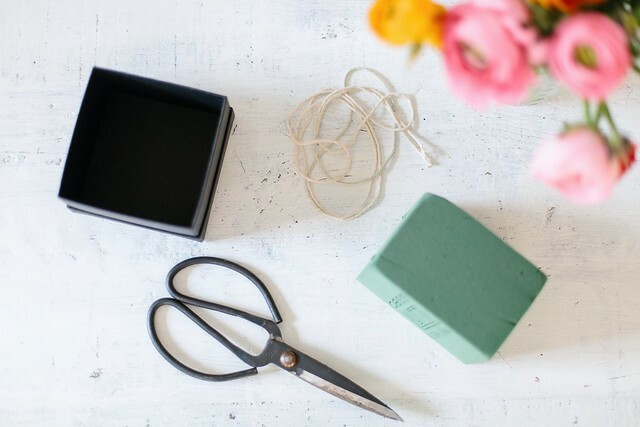 Use your tape to affix it to the inside of the box. 2. 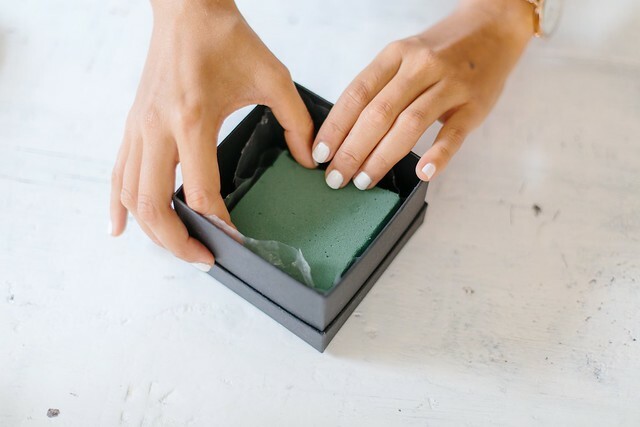 Cut your oasis to fit into the box, with at least 2.5 cm (1 inch) room before the top end of the box. Then add water so the oasis is soaked. 3. 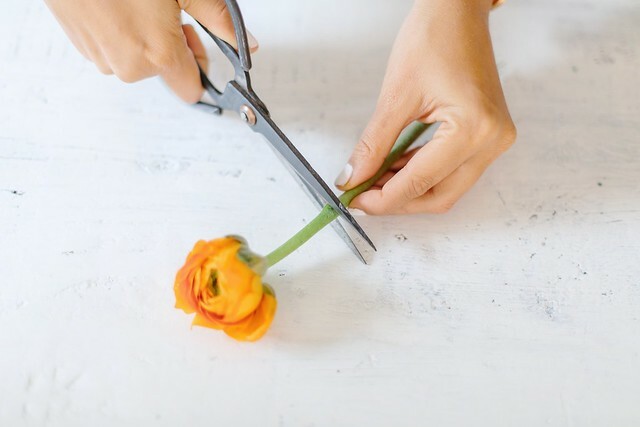 Start trimming your flowers so they have 2.5cm (1 inch) stems. 4. Push the flower stems into the oasis. 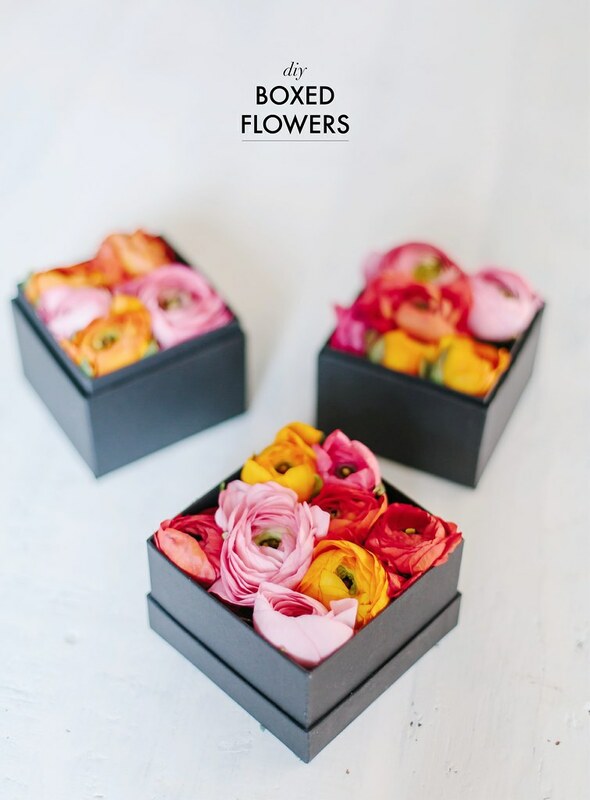 Make sure to push them down so the top of the flowers are below the lip of the box so you can put the top on. 5. Add the rest of your flowers, and if you want to add a little more water parting the middle flowers and pouring some in. 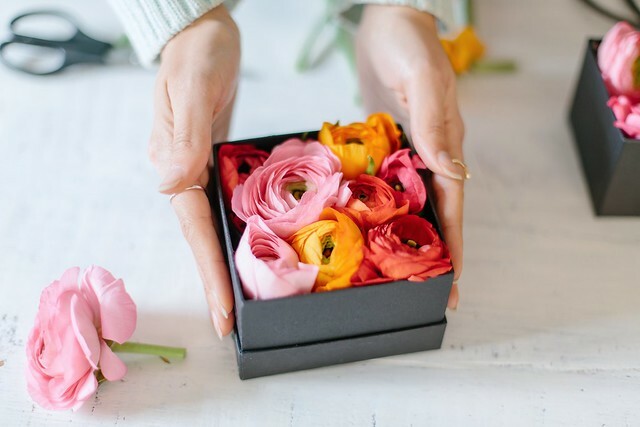 Check out another easy flower DIY here.